Long lasting repairs that will resist future scouring. Prevent scour both above and below the waterline. Placement of rock from land or water. 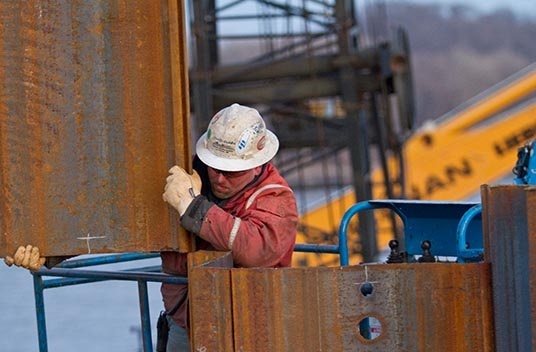 We’ve been driving piling for nearly 100 years. 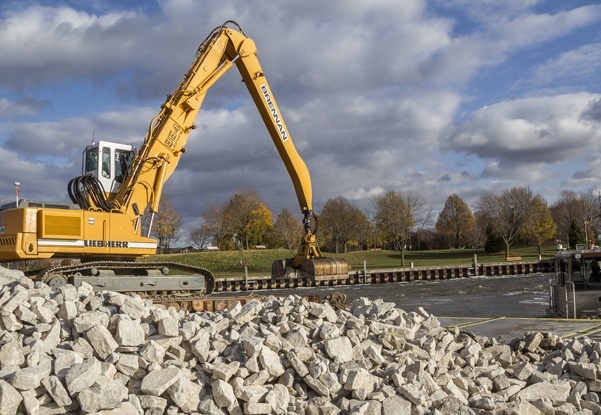 When it comes to remediating scour and erosion problems, Brennan offers many robust; long-lasting options. Pier undermining is very common and can often go unnoticed. It may develop slowly over time, or be brought on quickly by an intense rain event or seasonal flooding. The results can compromise the structural integrity of the entire bridge with little advance notice. 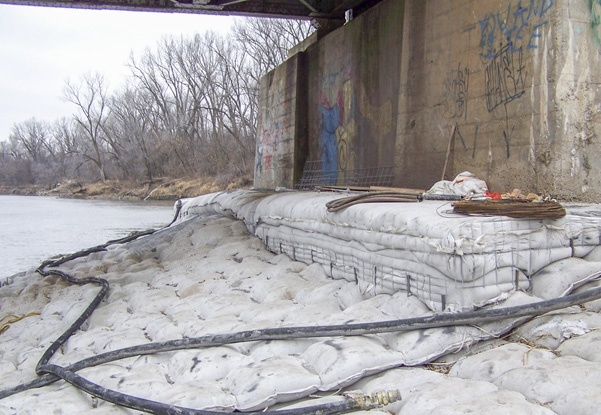 Brennan can detect, assist in the design, and repair scour and erosion issues that may be going unnoticed underneath bridge structures or along embankments. Articulating block mats are one of the most effective forms of scour and erosion repair and prevention. 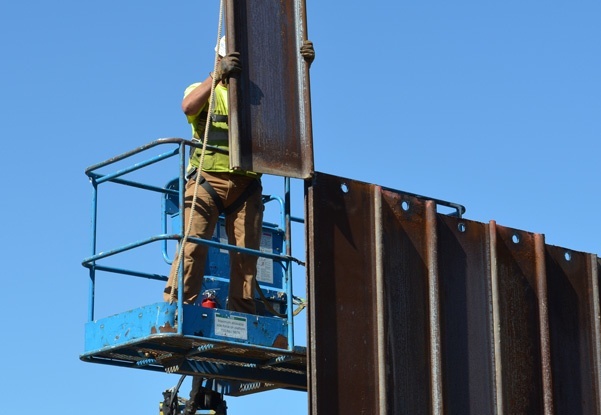 Cast-in-place by knowledgeable crew members, this method uses a high-strength fabric formwork that is reinforced with steel cables. The framework can be placed above or below the waterline in a multitude of sizes and shapes. Once installed it will create a long lasting result that will resist future erosion at the toe of the slope. 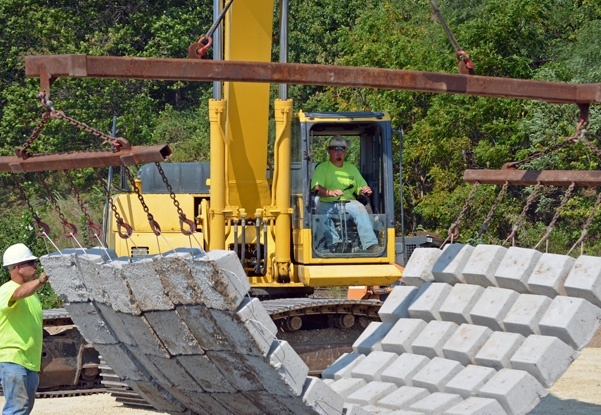 Articulating block mats can also be precast onsite, or offsite, before placement. These mats can be cast in several configurations to allow for seeding and plantings within the blocks. Precast block mats are also cable reinforced and create a long lasting, aesthetic repair to the embankment. This is a traditional method of erosion control for the shorelines. It is often the most economic means of repair and prevention. Brennan can place rock from the shoreline or bring it by barge and place it from a floating marine plant. Brennan has been driving piling for nearly 100 years. We develop a plan that limits or eliminates our impact to the maintenance of way in order to provide a quality repair and reinforcement. 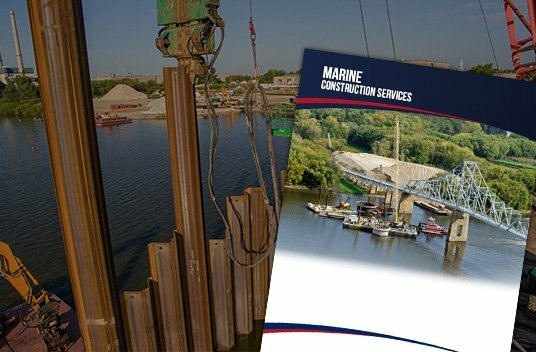 Our ability to safely drive piling from land-based, water-based, or even from amphibious platforms will provide our clients with scenarios that will best fit each project.